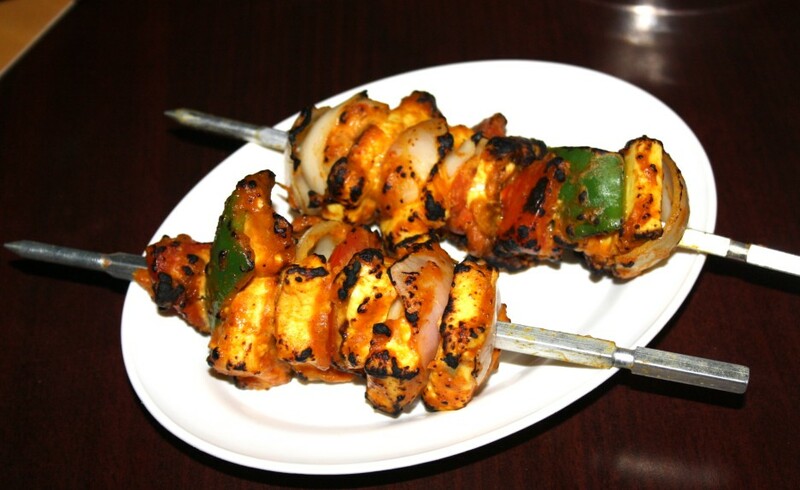 Tandoori Paneer Tikkas are my most favorite dish. I seem to be saying this so often. 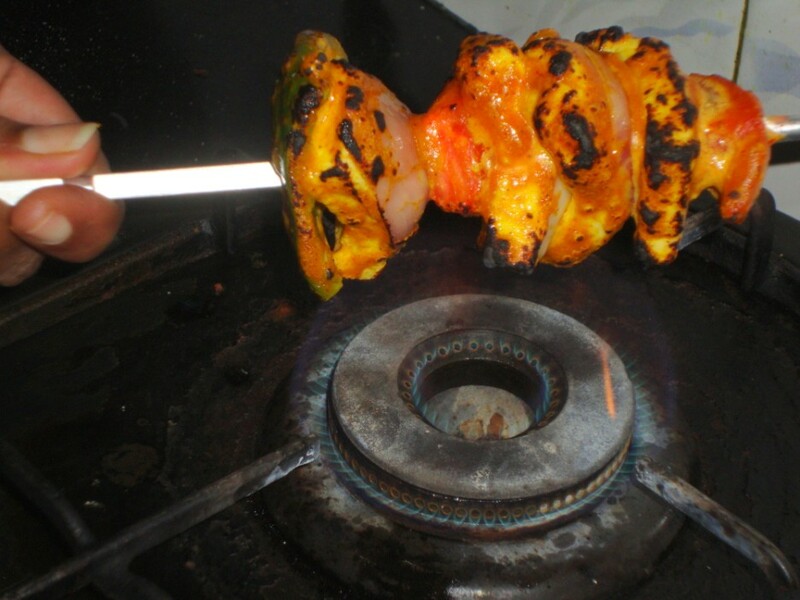 But then it surely is and not having a Tandoori oven never stopped me from making it. I have been doing it over Stove Top over many years. 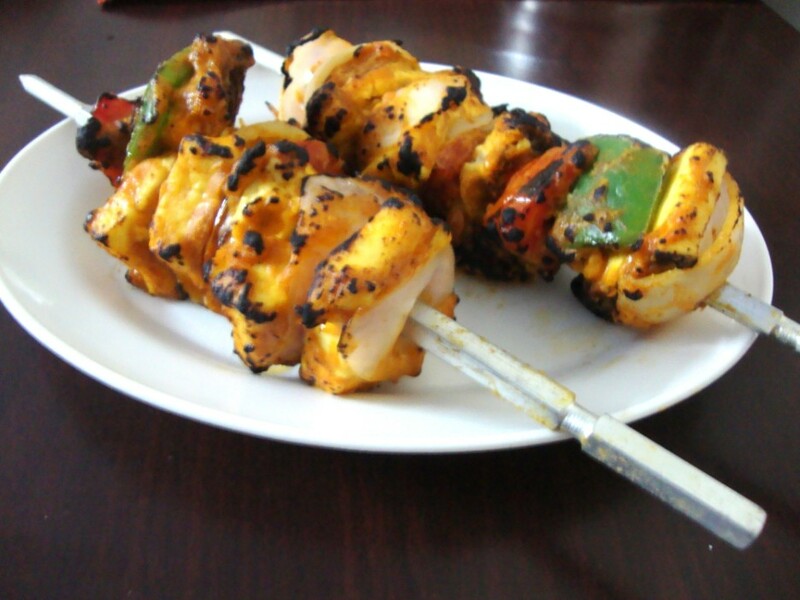 Last time when I did, I couldn’t find the skewers, so I ended up using those tongs. I finally found the skewers and didn’t want to miss showing how I make it. I made the recipe the same way as how I did the microwave method. Marinade the Paneer Cubes along with the Vegetables. 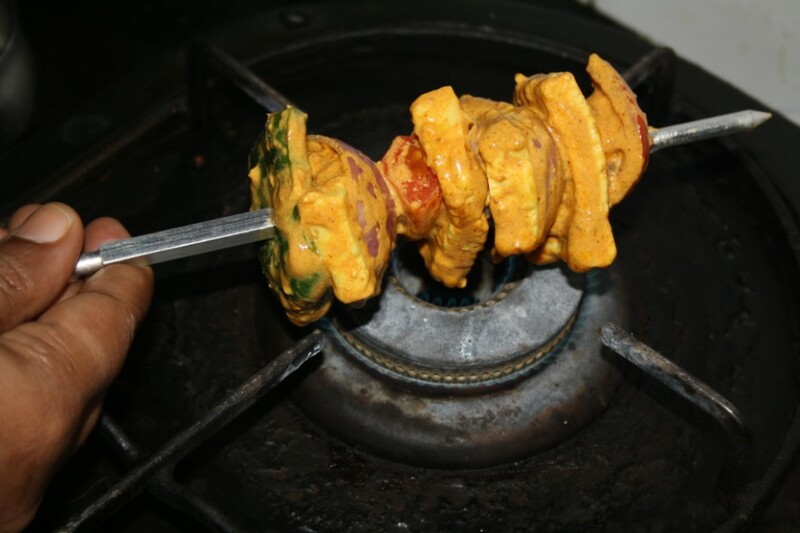 Sorry for the messy picture but I had to show how much mess can happen..:) Arrange the Tomato Cubes, Onion, Capsicum in between the Paneer Cubes on the skewer. Light up your stove, and take it right over it. 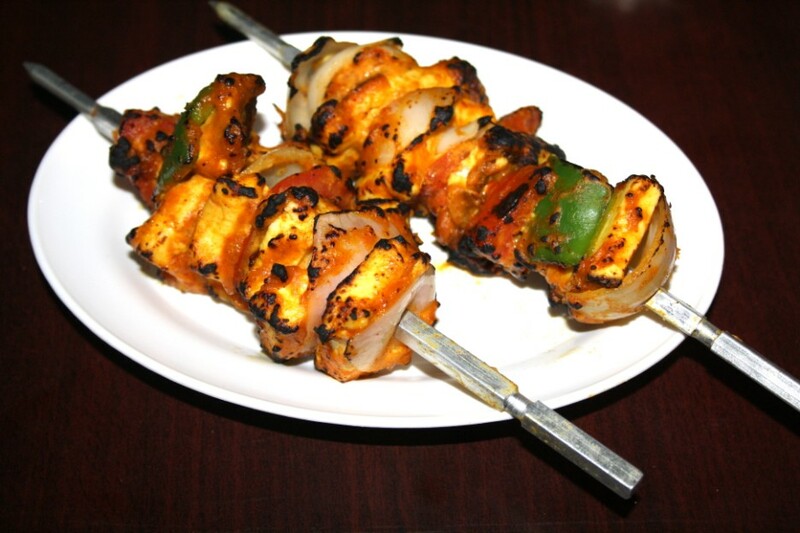 Pour drops of oil over the Paneer. 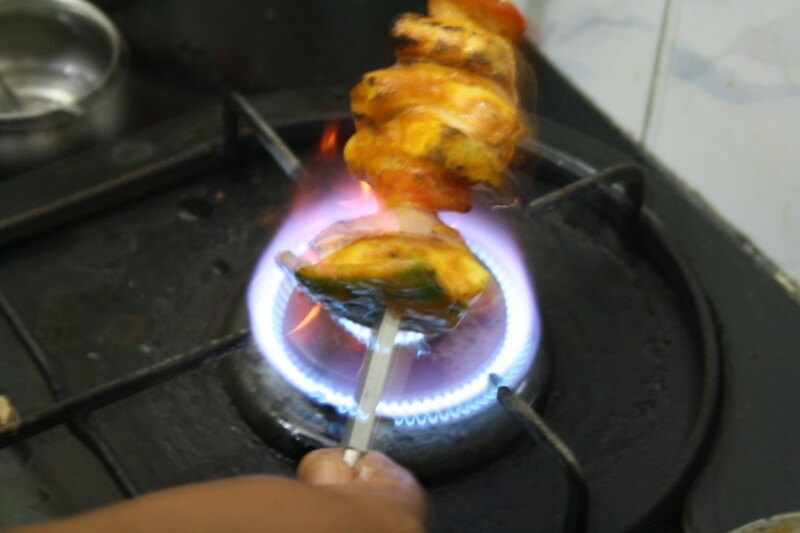 When the oil comes in contact with the masala and the flame you get that smoky effect and taste as how it is made in a Tandoori Oven. Turn over all sides to make sure the chunks get equally burnt and cooked on all sides. Ok finally I was able to capture the flame with a night shot. Ensure to keep a safe distance when you hold it over the flame. Once done on all sides, Tikkas are ready to serve! 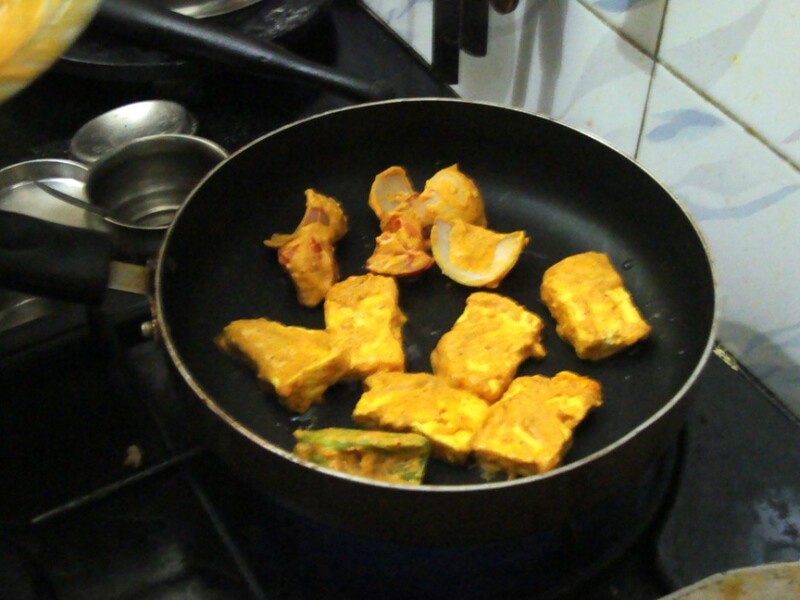 In the second method I do, I cook the paneer pieces along with capsicum and onions. Leave out Tomato as it will get soft. 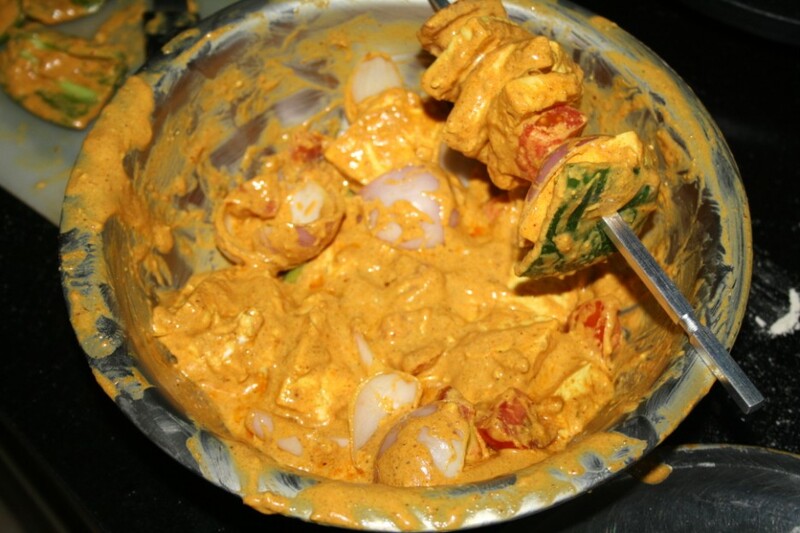 Cook on both sides for couple of mins, even more if you want the masala to be well cooked. 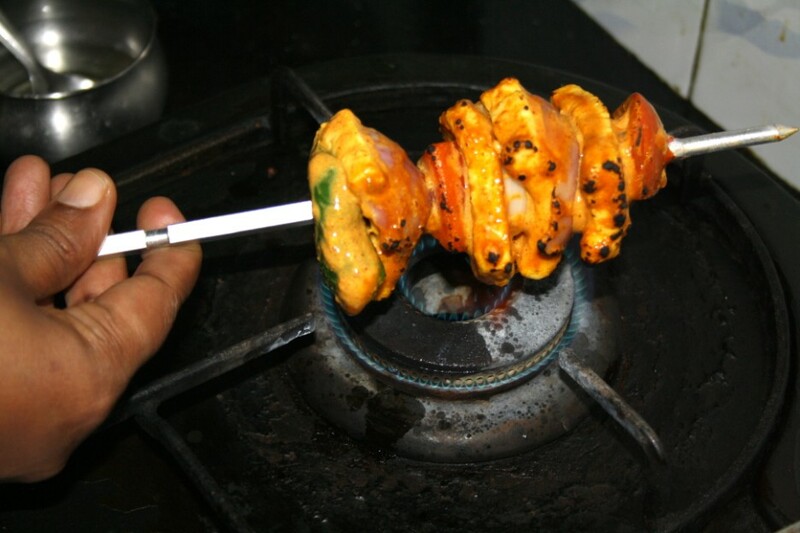 Then arrange on the skewers once it cools down. Quickly cook over the stove, the same method while you sprinkle some oil over it. Once done, remove to serve with onion julienne and lemon wedges. 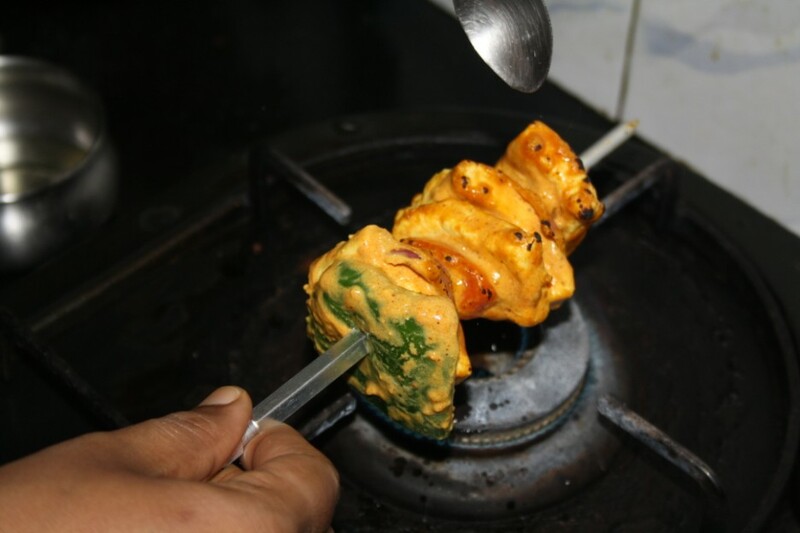 When Konda saw me making it, she couldn’t believe we could make it so tasty as how we get it from restaurant. She still says this is the best she had. Another entry for Kid’s Delight themed on Holiday Specials. Yum..I feel like eating Paneer Tikka now.Looks perfect with that Tandoori-smoky effect! !